Like the Offshore Windfarm Engineer or the Waste Management Consultant, the Digital Imaging Technician (DIT) is very much a 21st Century profession and one that didnt exist 10 years ago. Generally recruited for a digitally-shot feature film, commercial or TV drama, the role was initially a camera technician position, a sort of security blanket for the transition from tape-based to digital production. Although still very much an intermediary between camera and editorial, the DIT role has changed quite a lot since its inception, and, in truth, is still evolving. So much so in fact that it is regularly misunderstood with DIT becoming a catch-all job title for anyone that manages media. In truth, the role is something akin to the modern day equivalent of the old film lab especially on a 4k shoot. The DIT will certainly manage the media and back it up. But he or she can play a much bigger role than that, doing quality control, colour correction and transcoding on set and then creating quick-turnaround dailies for almost-instant review. Crucially, the DIT also works closely with the DoP to apply a specific look to footage before it gets to post-production. As you can imagine, to do all those things requires a whole heap of kit. And, while the requirements differ greatly from shoot-to-shoot, generally speaking, there are several consistent elements of a DIT station, cart or van. First up is a computer. Not just any old PC obviously. This could be a Macbook Pro laptop or a Mac Pro or any of a number of other available high spec workstations (HP ones are popular). Then the DIT needs hard drives, video cards, card readers, a Red Rocket card (if shooting Red), RAID storage, a transcode drive, fast transfer connectivity, a decent monitor (including a grading one if doing colour work) and an uninterruptable power supply. Available software should include some sort of data management app. Depending on what camera is being used this could be R3D Data Manager, ShotPut Pro, Al3xa Data Manager or Elklights Velarium. Then they need something for those dailies, first grades and colour corrections such as Da Vinci Resolve, Color, Assimilate Scratch, Truelight or Pomfort LiveGrade Pro. 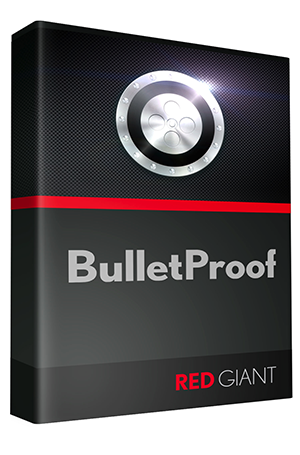 Another option is Red Giant Softwares recently launched Bullet Proof, a one-stop shop for data transfer, on-set review and colour correction. Or, if its a Red shoot, the REDCINE-X. Thats not all. Some DITs will also need an editing package, and most will want some QC scopes or waveform monitors. They may also need to bring along iPads (other tablet devices are available) for review and approval. And it all needs to be mobile in some fashion. DIT agency 4K London offer a wide range of equipment for rent, from laptops to fully loaded DIT carts. One option is the companys On Set Colour Management Kits. The Truelight-based package consists of: two TVLogic XVM 24-inch Grade 1 monitors; two Leader 5380 waveform monitors; four IDX V- Lock batteries; two Blackmagic Design HD Link Pro LUT boxes; a 15-inch or 17-inch Apple MacBook Pro; and a custom DIT cart (including UPS, smart video hub, patch panel, and Ethernet hub, cabling, mounts, cases and accessories). The package also includes Blackout Tent, Looms and Drums. In a similar way, Digital Orchard offers what it calls its OnSet DIT Station Digital Lab. This option is for doing one light grades and for the creation and application of LUTs but also facilitates backups, transcoding, onset download and onset QC. Built around Assimilates Scratch, it can accommodate Red Rocket cards, Codex transfer docks, LTO decks and fibre or SAS RAID storage. If youre looking for something so mobile that you can take in on a place and store it in an overhead locker, DIT Stations Rogue4 may be up your street. Designed for data management, LUTs, onset colour correction and dailies, it costs about £6000 (not including the laptop) to buy and comes in a military-grade resin flight case. The Rogue 4 is built around Thunderbolt connectivity to offer workstation quality in a notebook size and form factor and uses Sonnets Echo Express expansion chassis to provide four PCIe slots for things like Red Rocket cards and up to 12TB of RAID storage. Files can be ingested from SxS cards, REDMAG SSDs, SD and CompactFlash while other features include a Wi-Fi router and an iPad mount. 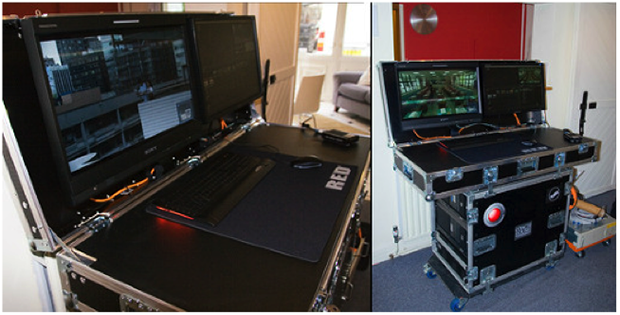 If youre looking to hire, rather than buy something like this then Glasgow-based Futurist Digital has a mobile DIT "Shadow" case. A camera agnostic option, capable of handling Red, Alexa, Sony F65, Canon C300 and more, this option allows for digital negative offloading and checking, audio sync, backups, LUTs, transcoding and deliverables. Based around a portable Peli case the kit is made up of a MacBook Pro with a 15-inch Retina screen, 8TB of internal RAID storage, a RED Rocket card, outputs to eSATA, Thunderbolt and USB3 and readers for SxS, RED, SSD, CF and SRMemory cards. Like the Rogue4 it is suitable as carry-on flight luggage. Options for DITs dont end at flight cases or carts. Now, thanks to engineering ingenuity, commercial vehicles can be kitted out as mobile DIT suites too. Alongside its inventory of DIT carts and data wrangling equipment, Coach House Studios, now based at Twickenham Studios, currently hires out two DIT vans for doing on-set deliverables, transcoding, media management, grading and assembly editing. Independent, uninterruptable power is crucial. As such, both vans can be powered from the mains or make use of on-board generators. Importantly, they also have large battery packs attached to the UPS that stabilises the supply. This all means the vans can run for several hours on battery power alone, which is crucial if silent operation is required (as it often is on set). Highly specced workstations form the backbone of these customizable vans with Hewlett Packard Z820s and Z800s the norm. For grading and colour correction they can be fitted with Da Vinci Resolve or Assimilate Scratch. A colour accurate Sony Trimaster monitor can also be included plus plenty of RAID storage connected by 10Gb Ethernet. Various communications options are available as is air-con and heating. Coach House Studios is not the only company to offer DIT vehicles. Bristol-based Non-Linear Evolution has its 'DIT Van Lab', a converted Volkswagen long wheelbase Transporter that can be used for data wrangling, transcoding, editing and grading. As with the Coach House offering, power supply is crucial. The Non-Linear Evolution vehicle can power a laptop and external hard drives for a full day - or a Mac Pro and display and several external hard drives for up to four hours - without having to use external power.